Yesterday was the most positive day of my blogging career. This was not because i got any secret to build any money making blog, but actually i got realised that whatever i am doing is correct and I should continue working on my blogging site. The discussion was started by Ravi stating “Top 7 IT Companies will layoffs 56000 employees“.Next, as usual we started talking about our company and Jobs. We started thinking would happen if we are fired from the organization? Even we don’t have any other source of Income. At that time we realised that ‘instead of earning one lakhs rupees from the job, it would be better if we would earn this from more than one sources’. Immediately, Ravi said for the first time, Kaustubh is doing correct. Besides his job he is also making some money out of his blogging site. He also added that we spend our life in thinking ‘how to quit job and start your own business’, but Kaustubh started making money out of its blogging site. No matter today Kaustubh is earning very small amount but at least he has a another source of income. After hearing this, I felt like I had made a right decision. I should continue with my blogging site. 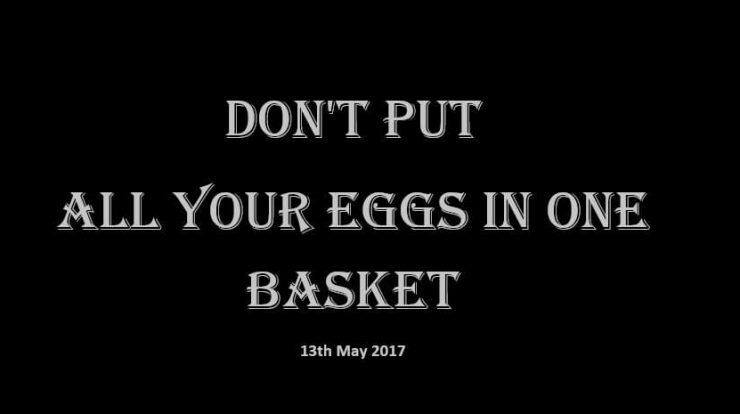 So, we learned today that ‘don’t put all your eggs in one basket‘. Instead of earning 1 lakhs rupees from the job start making 25 thousand rupees from four different sources. Of course, ‘Blogging’ will be the best option to make 25 thousand rupees out of it. So, I think one should start blogging immediately. At least it will become a source of income for him.